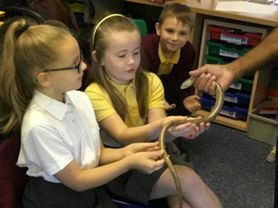 The class teacher is Mrs Zegan supported by Mrs Fielding. 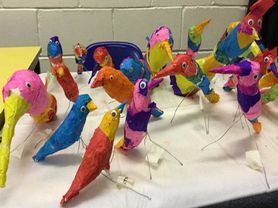 3D rainforest birds created under the direction of local artist Sue Gutherie. 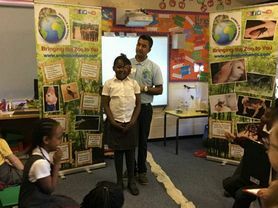 Sparkly Start: We looked at exotic animals, endangered species and their habitats. 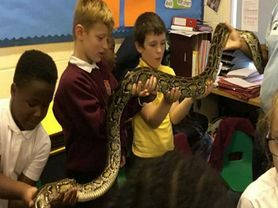 Unusual visitors to the classroom. 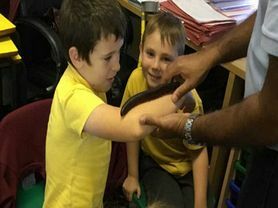 Getting to know a Glass Snake. 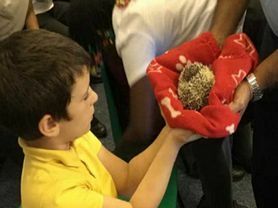 Thinking about how we can make our gardens hedgehog friendly.